Enjoy the best of both worlds. 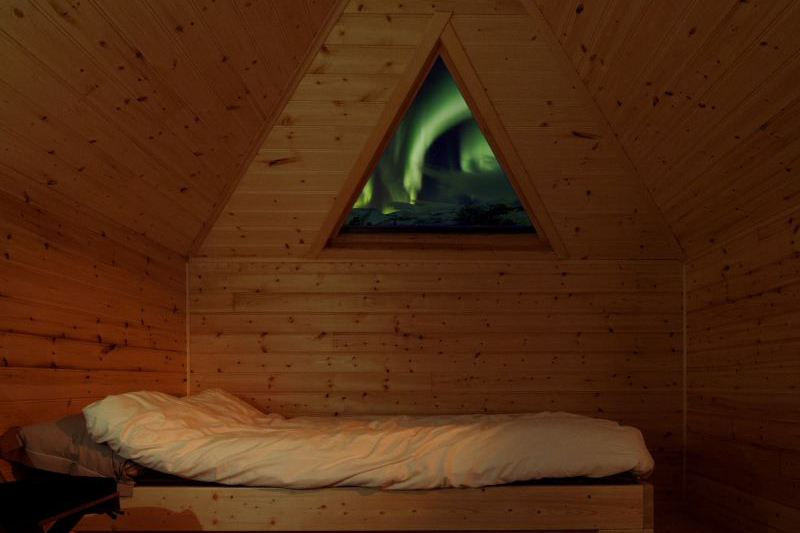 High-end city accommodation with views across Tromsø’s harbour and mountains combined with day and overnight trips away from the city to search for the Northern Lights. Stay overnight in a lavvu tent in the wilderness and enjoy a selection of high-quality active adventures with our hand-picked local guides. 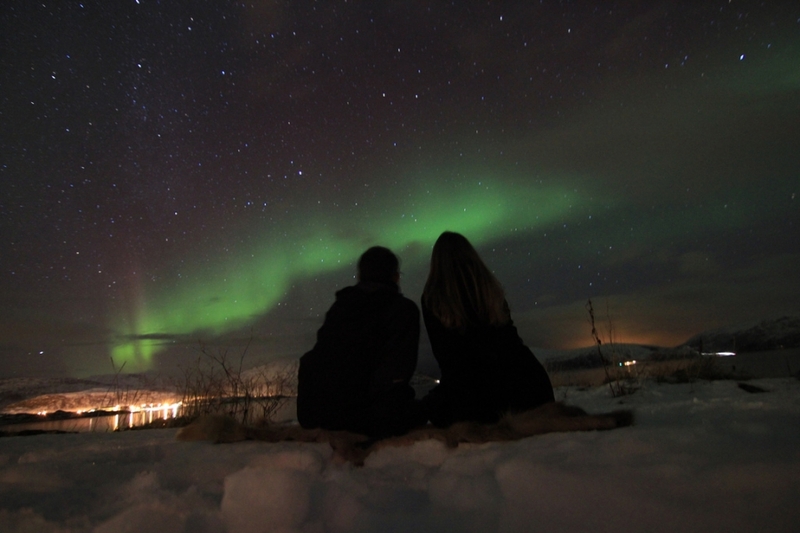 At nearly 70° North, the Arctic city of Tromsø is located in an ideal position below the Aurora Belt – the region around the North Pole where Northern Lights activity is most frequent. Our local guides will take you away from the city and to the place where you are most likely to see the Lights dance in the night sky during the evening. 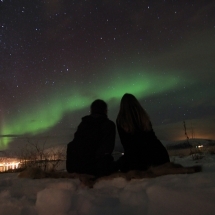 Tromsø enjoys a buzzing nightlife and a range of high quality restaurants and hotels. We’ll give you our very own guide to the city to help you along the way. This programme can be tailored to your requirements. Arrival to Tromso Airport. Your driver will be waiting for you in the arrivals hall ready to transfer you directly to your hotel. 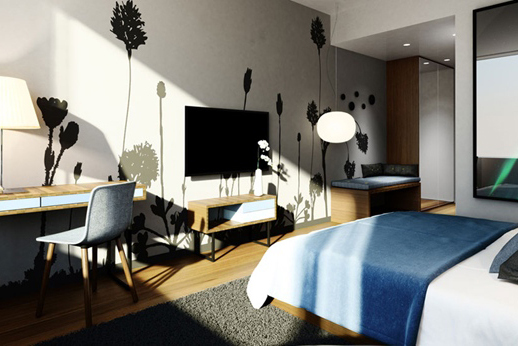 You'll stay at one of Tromso's centrally located harbour front hotels - either the Clarion Hotel the Edge or Scandic Ishavshotel. We'll arrange a sea-view superior room for you so you can enjoy the view and never miss any glimpses of the Aurora above Tromso's harbour. Settle in and enjoy dinner in the city with our recommendations for places to eat. The team has travelled to Tromso many times and will be able to give you first-hand suggestions for eating out in the city. 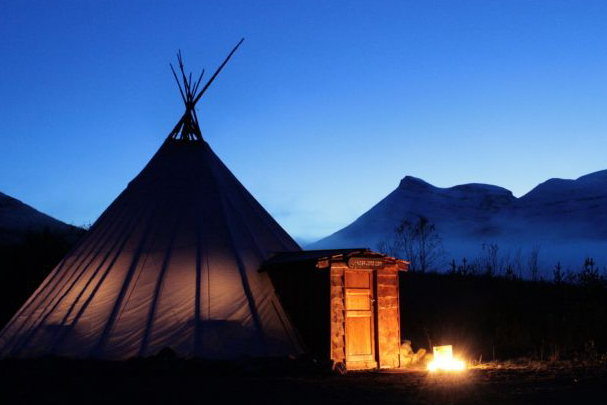 Wake up in the Arctic and enjoy a leisurely morning. When you're ready, head out into Tromso to explore the city with our recommendations in hand. Perhaps take the Fjellheisen cable car to the top of the mountain for panoramic views of the city and beyond or why not visit one of the galleries or museums. Tromso also offers a great deal of choice for eating out, and we'll recommend some options for you to suit all budgets. After dark, dress up warm and walk along the quay to a small cosy catamaran which will be waiting for you. 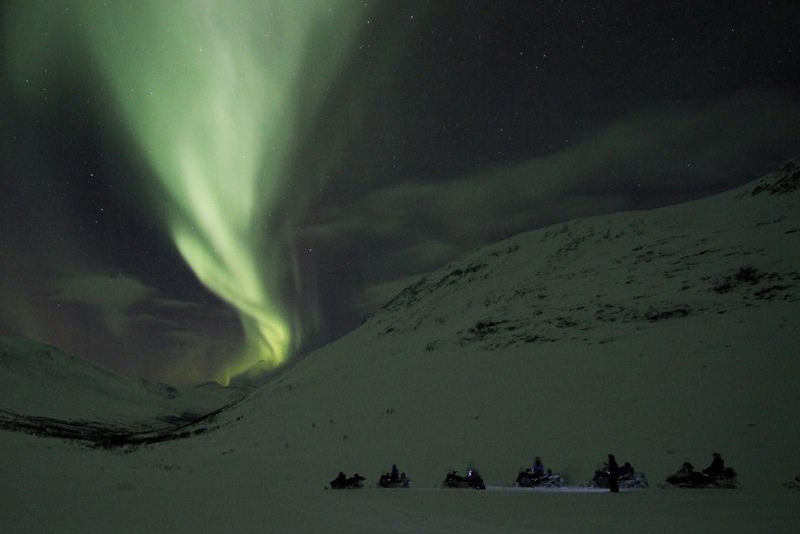 This evening, you'll head out to the fjords by boat to try and witness the Northern Lights away from the city. On board you'll enjoy wonderful company and hosts who'll entertain you with local stories and serve a delicious meal consisting of locally caught fish. If you're lucky you may spot wisps of colour in the night sky and have the chance to photograph the magical Northern Lgihts. After your relaxing evening, return to your hotel. This morning you may enjoy at your own pace or perhaps you will opt to join a snow shoe or cross-country skiing excursion with a local guide (not included). Just be ready to depart on your overnight adventure in the early evening! Your transfer will take you inland to a wilderness camp in the Tamok Valley. 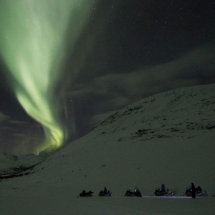 Here you'll be able to enjoy some active adventures and a fantastic opportunity to see the Northern Lights. On arrival to the camp, you'll be kitted out in warm gear before an introduction to snow mobiling - an Arctic adventure not to be missed. Driving in pairs you'll head up into the dark valley through forests and across plains. With luck you may see the Aurora above the mountain skyline. If not, you'll have a spectacular and exhilarating experience before returning to the wilderness camp where a hot home-cooked meal awaits around the camp fire. 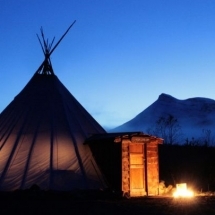 Enjoy a traditional dish of reindeer and check the night-sky one last time before settling down for bed. 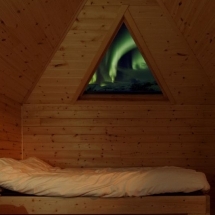 You have two options for sleeping - you can either choose a cosy Aurora Chalet cabin complete with window on the night sky, or a sleeping berth in the shared lavvo tent where you'll be warmed by the open fire. 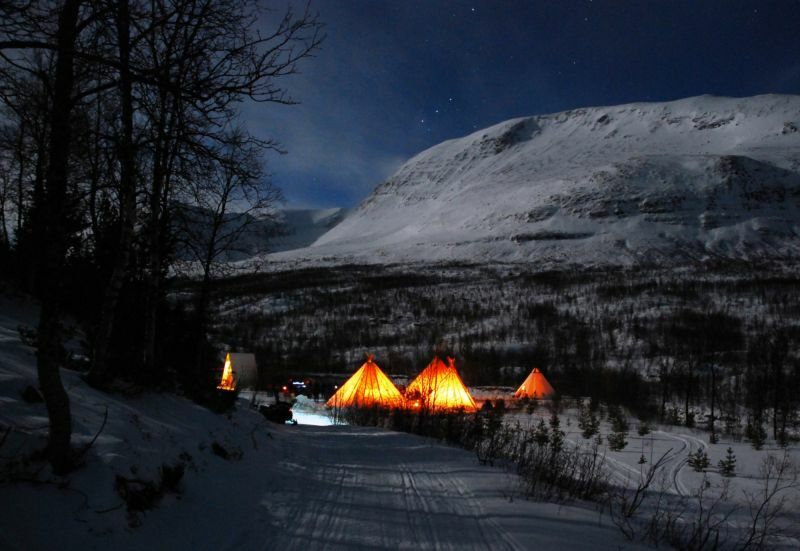 Either way, your night in the Arctic will be cosy and warm - and entirely memorable. After a good night's sleep, wake up in the wilderness and get ready for your next adventure. First though a hearty breakfast will be served and then it's time to meet your new friends - an excitable bunch of friendly husky dogs. They'll be ready to whisk you off into the forest so be prepared for an adventure. 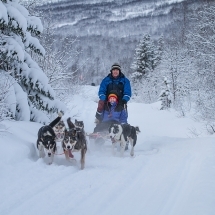 Driving in pairs, you'll have the chance to 'mush' your team and to learn a few secrets of husky-sledding from your guide as you venture over snow covered mountains. 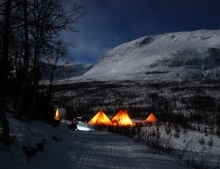 You'll return to the camp in the early afternoon for lunch before departing to Tromso. 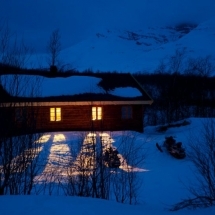 Spend the evening at your own leisure and overnight in Tromso. 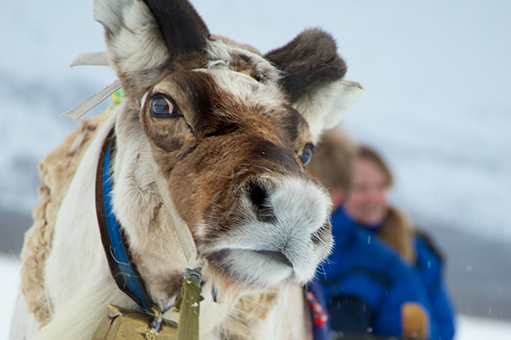 Today is your last full day in Tromso and we suggest that you join a full day tour to meet a local Sami reindeer herder for a chance to learn more about life in the Arctic. 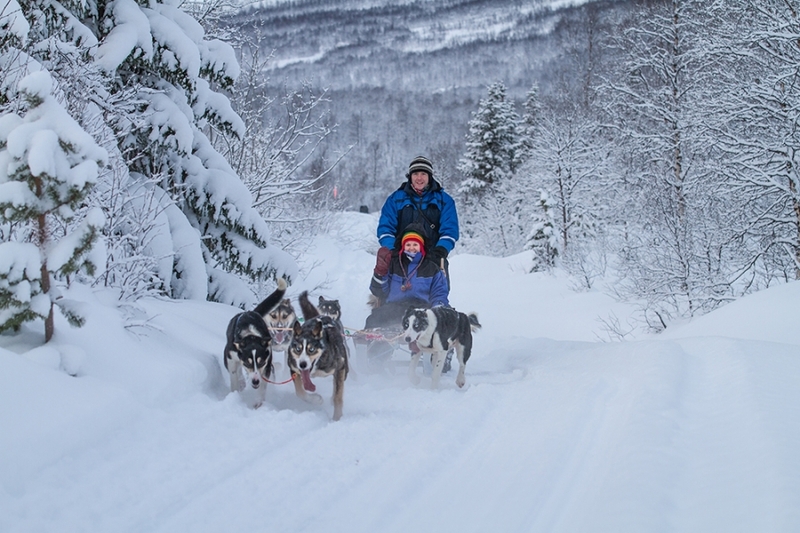 Your unforgettable day begins with a snow mobile ride in sledges to the reindeer herder pasture land at the top of Takelvdalen. Here the reindeer roam freely and you'll have the chance to feed them and to chat to the herder. 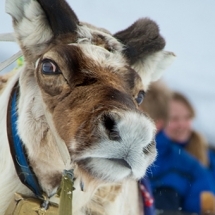 The trip is designed to give you an authentic insight into reindeer herding in a small group. You'll return to Tromso in the evening for your overnight stay. Today it is time to leave Tromso. However, it is possible to add extra nights and excursions or extend your stay elsewhere in Norway and beyond. Many clients choose to voyage on board the Hurtigruten Coastal Express ship - either North to Kirkenes and the Snow Hotel, or South to the Lofoten Islands and Bergen. It is also possible to combine your stay in Tromso with a visit to Spitsbergen in the High North for further outdoor adventures. 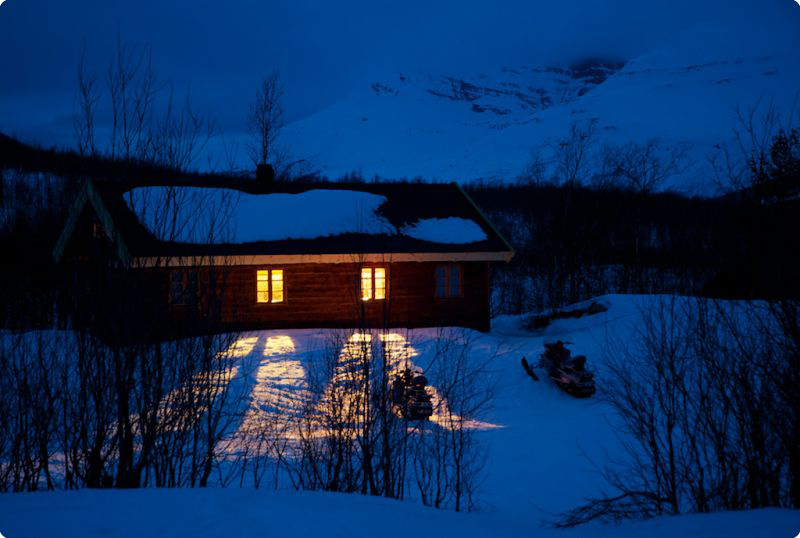 As experts in honeymoons to Norway, we're on hand to put together the itinerary of your wishes. If you're not on honeymoon but looking for a customized vacation in Tromso please get in touch with us - we'll be happy to help. From £1699 per person (excluding flights) based on two travelling.